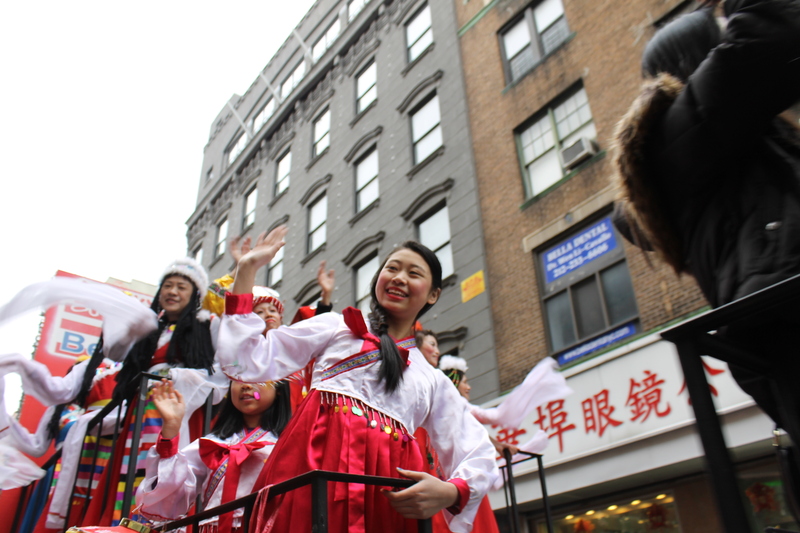 Most everyone was glad to see the arctic month January leave and welcome some relief in February. 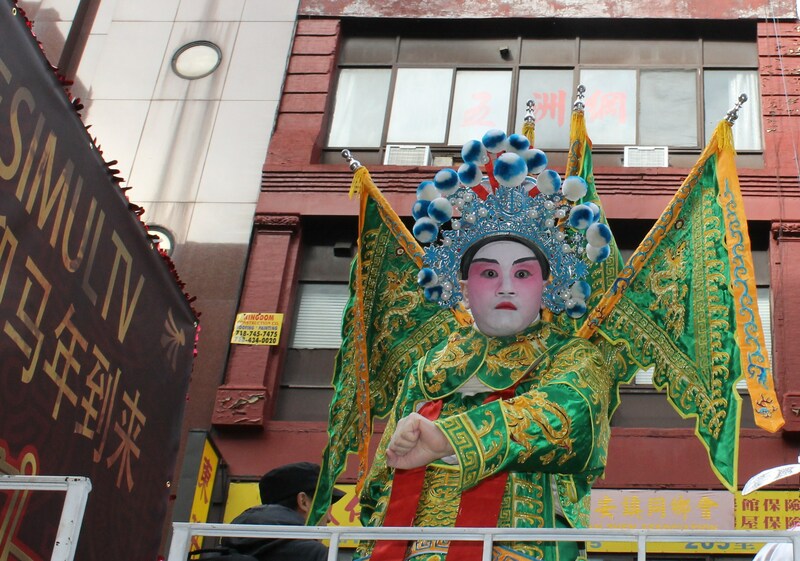 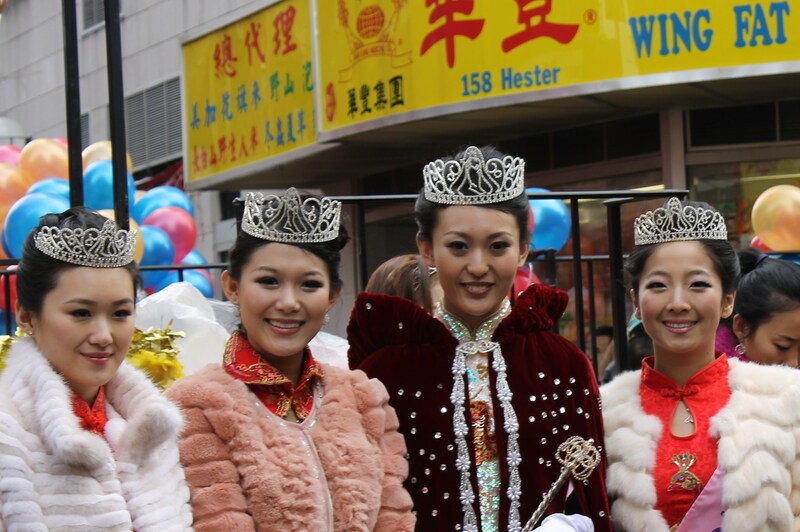 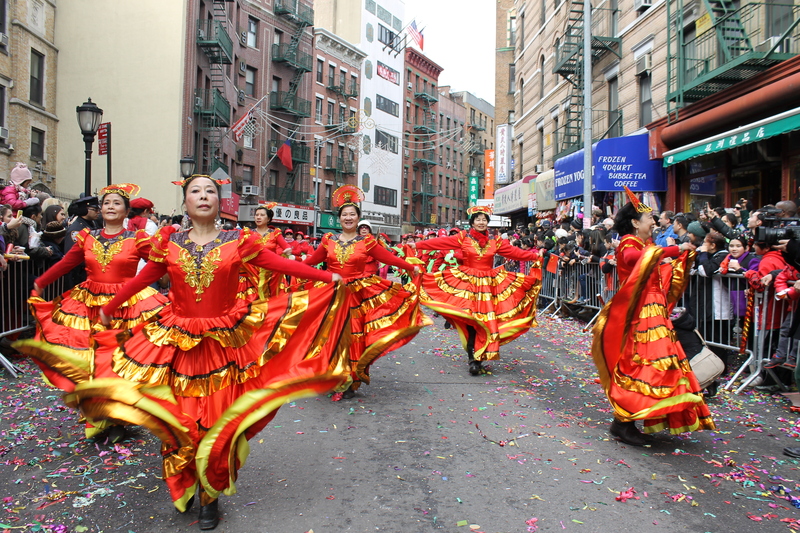 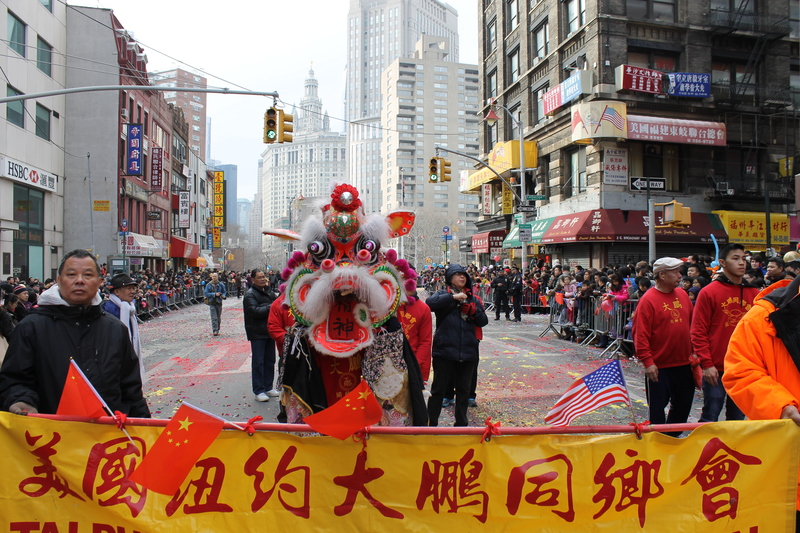 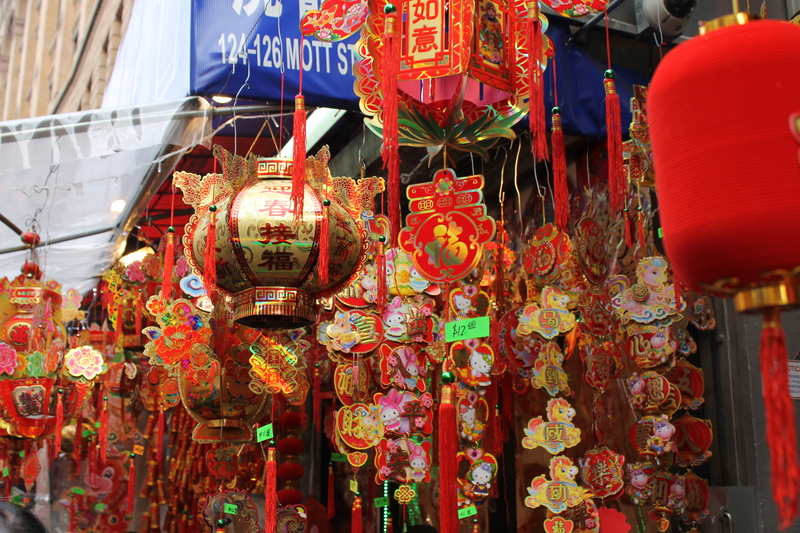 Somehow, the weather calmed down some on Feb. 2nd which made it perfect for a groundhog to see his shadow, for the Superbowl to be played in neighboring New Jersey and for a parade to celebrate the most important of all Chinese holidays, the Lunar New Year. 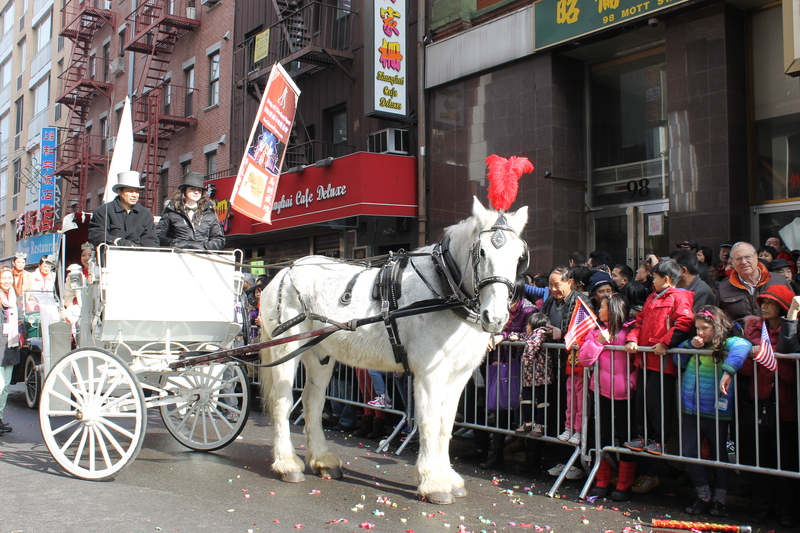 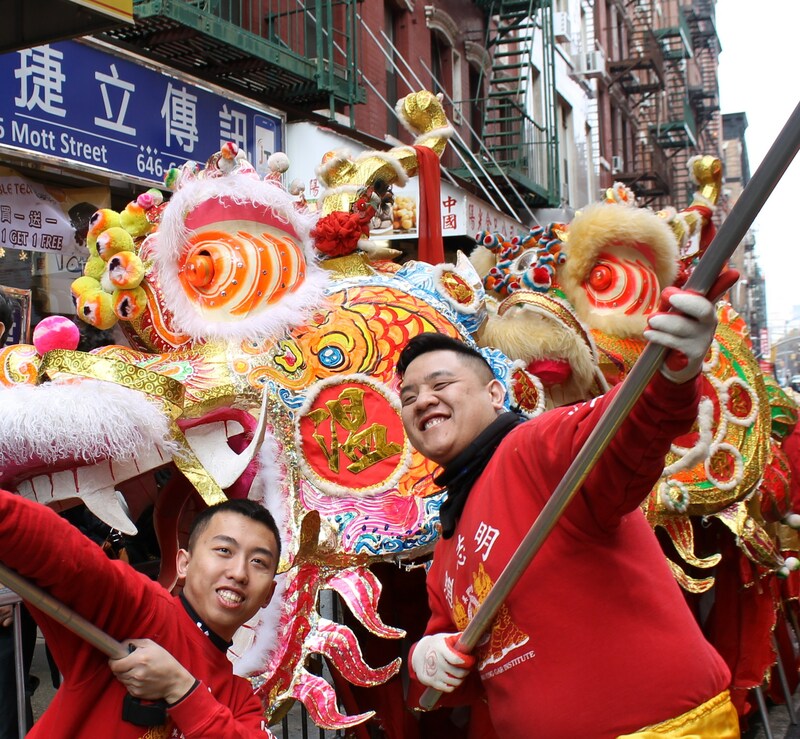 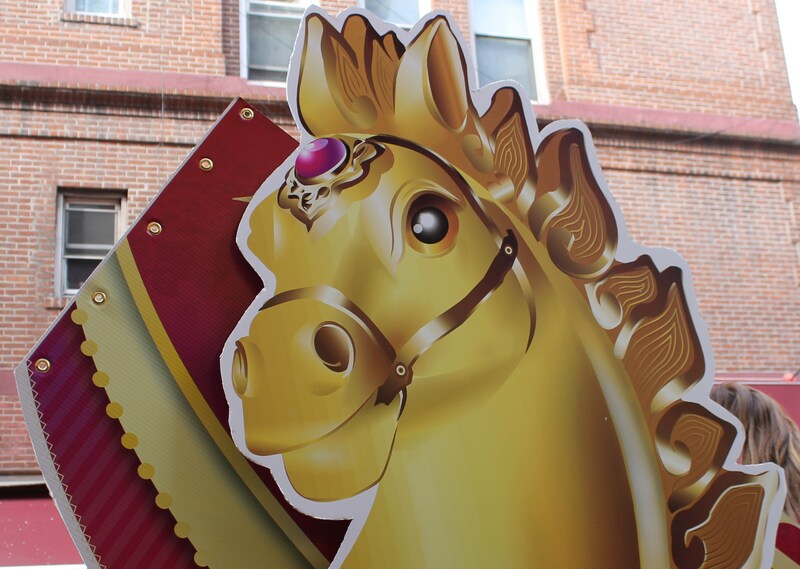 The year 4712 is in one of the Chinese favorite zodiac signs, the year of the Horse and thousands of people came out along the parade route on Mott St. to Roosevelt Park. 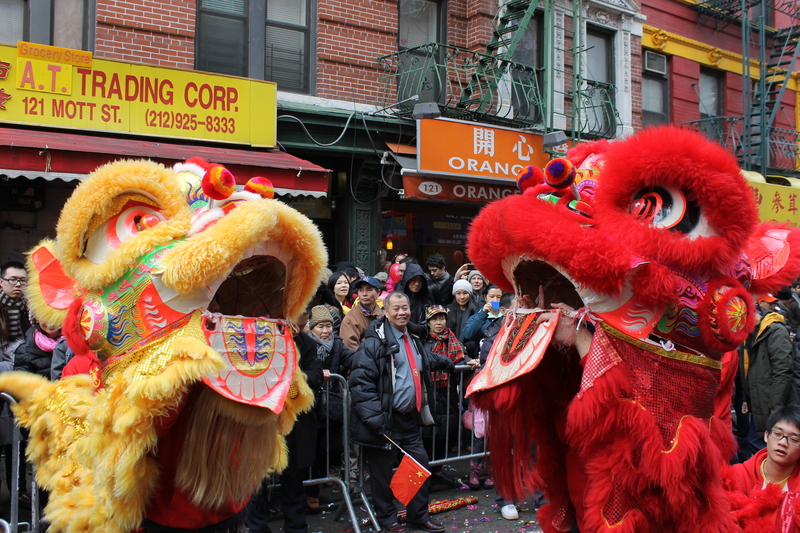 Just before all the fun started, the traditional proclamations and feeding lettuce to the lions for prosperity occurred on Mott and Hester Sts. 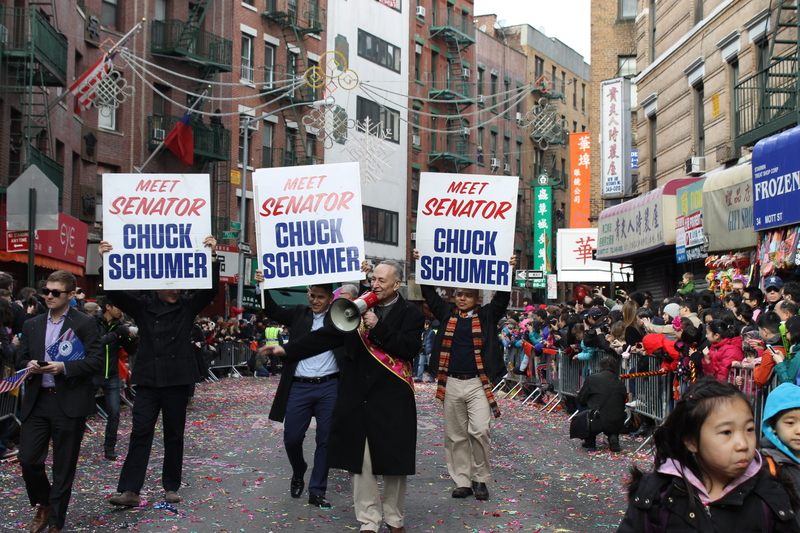 There is where politicians informed the public of new efforts on immigration, jobs and closing schools on the Lunar New Year to honor the tradition. 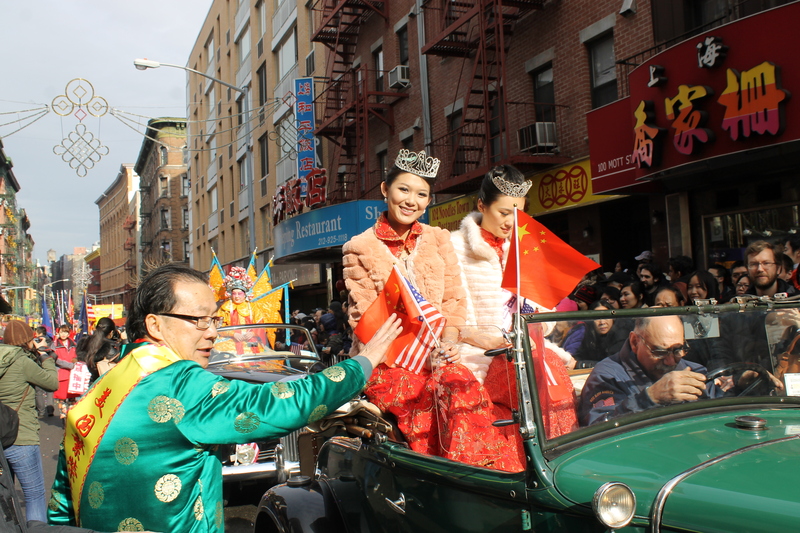 This year’s version of the parade included some beauty queens and a horse drawn carriage and some classic cars. 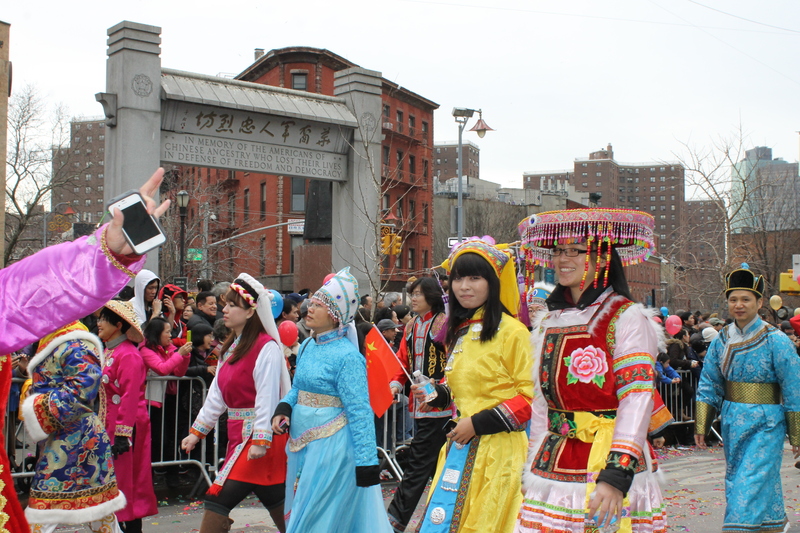 Parade organizer, Steven Tan, once again performed like a field general and kept things moving smoothly. 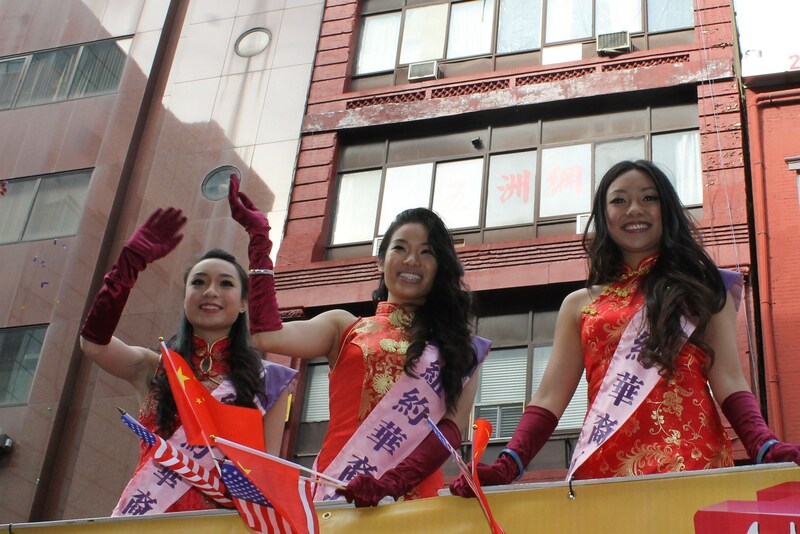 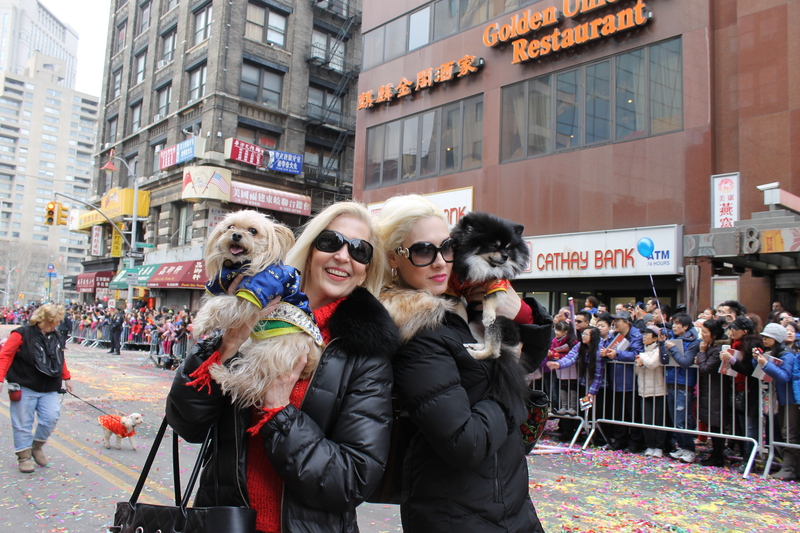 The beauty queens signaled the start of the parade and soon followed by a crowd favorite, the dancing Lions from Staten Island. 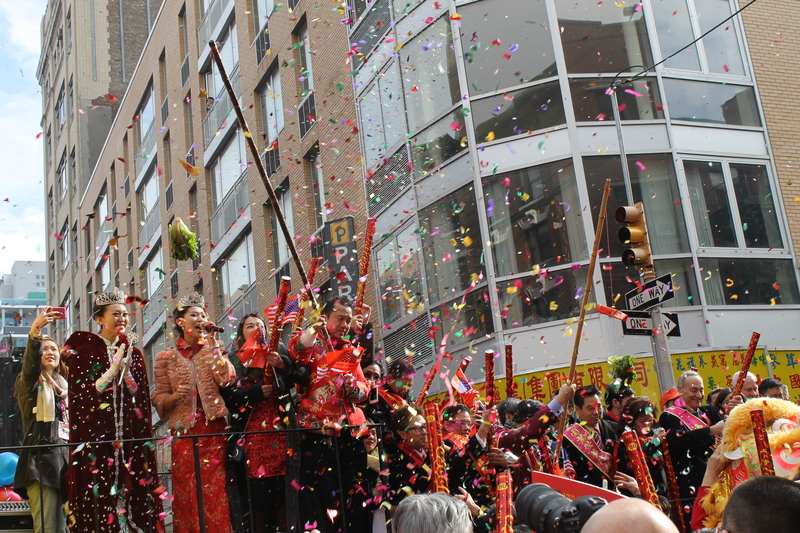 They got the crowd worked up for what would be a fun parade for all. 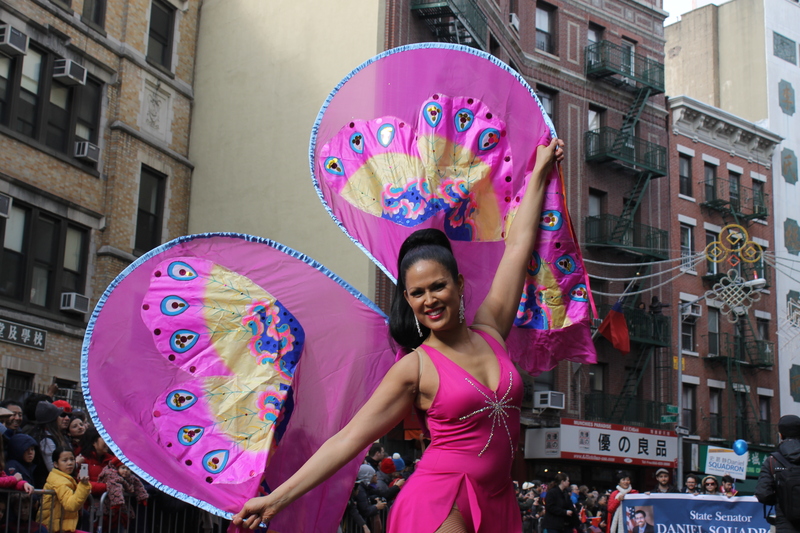 Keeping the energy level on high was parade regular, Marni, dressed as a beautiful butterfly on rollerblades. 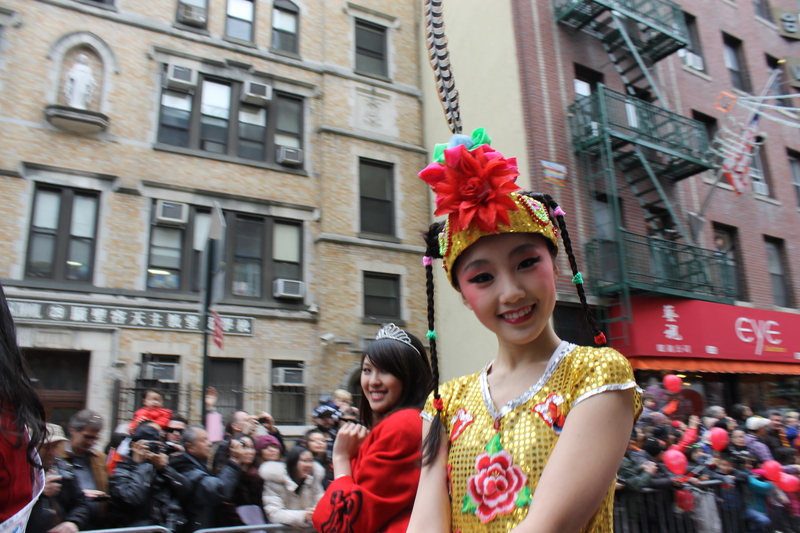 The crowd loved her. 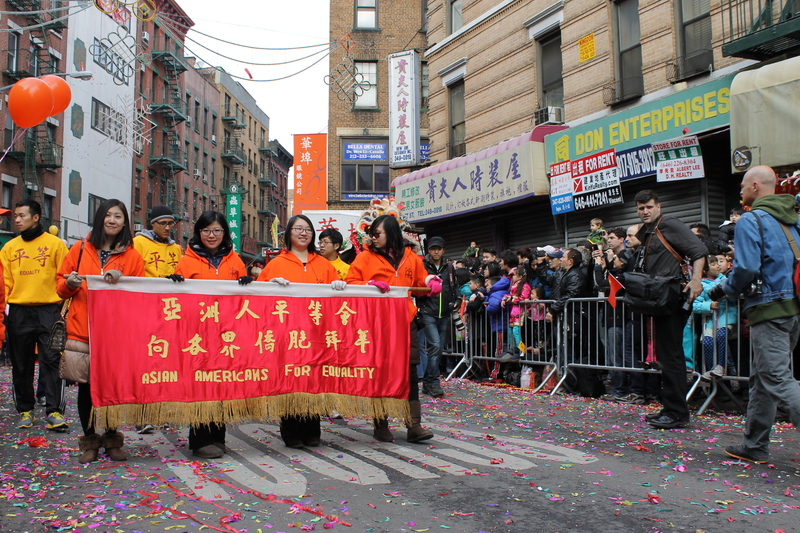 A larger presence in this years parade were the group for equality and the LGBT marchers. 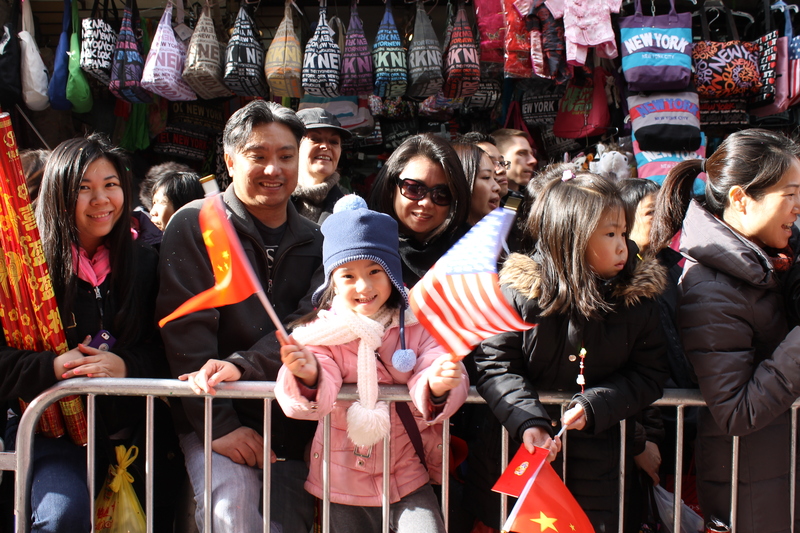 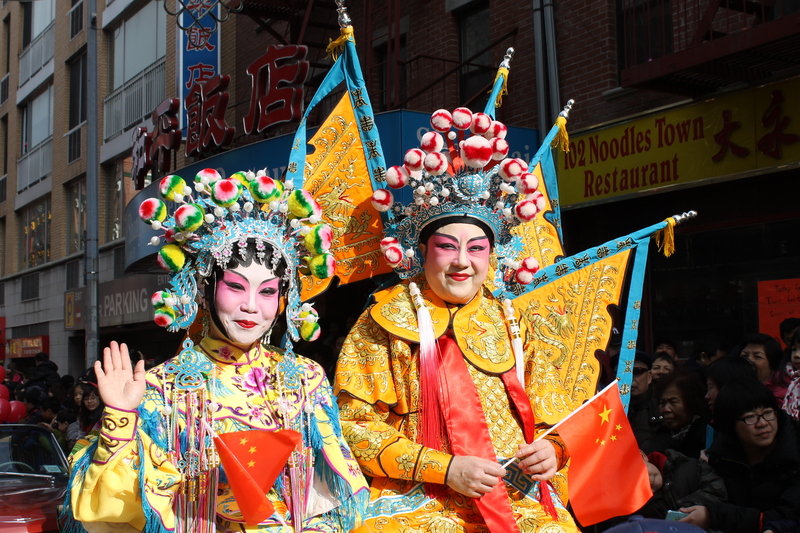 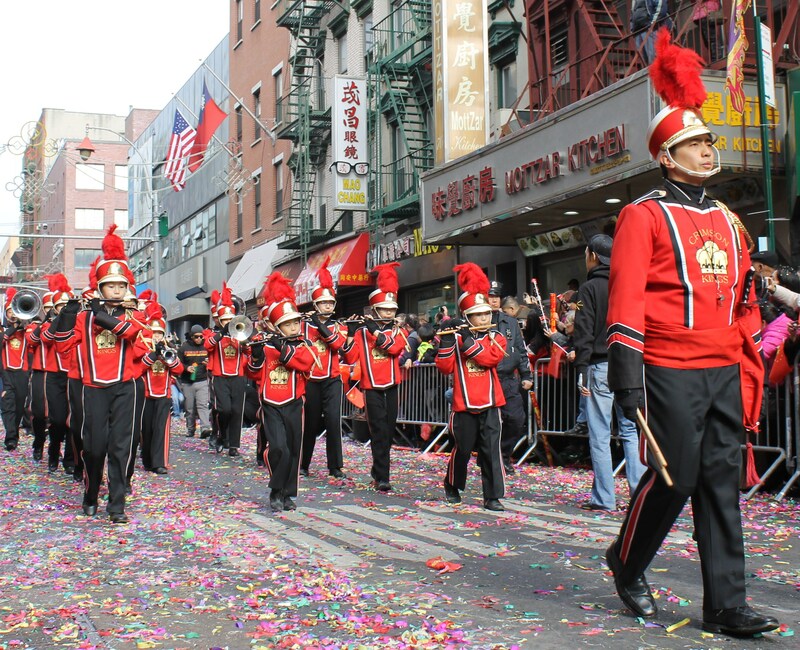 One of the nicest things to see at this parade is the amount of young children that come watch and even march in the 15th annual parade in Chinatown, USA. 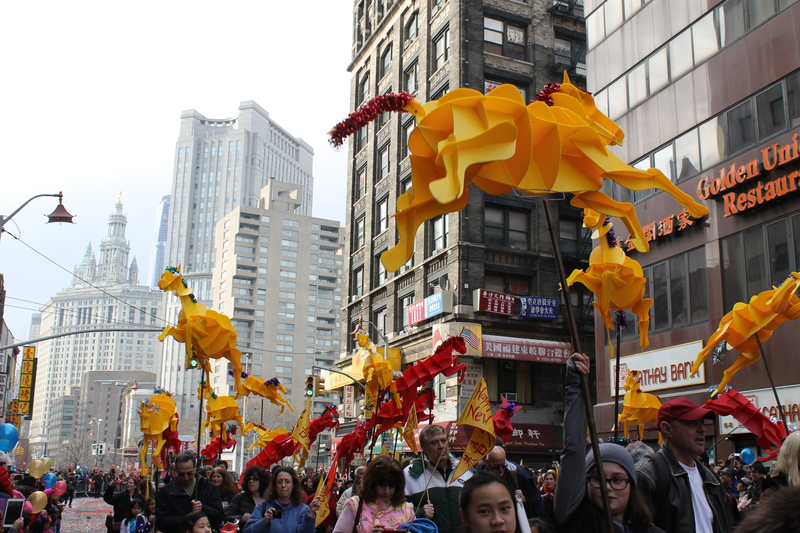 All the kids I saw were amazed and truly enjoyed the double dragons weaving their way along the parade route. 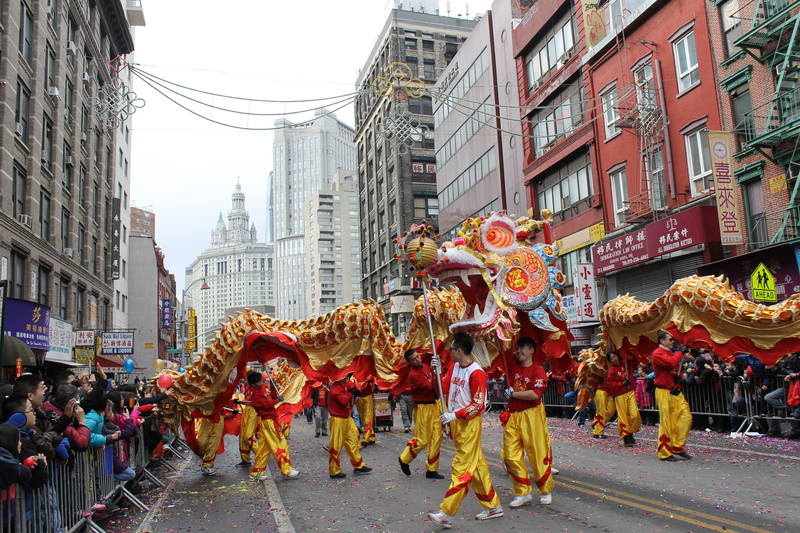 They were soon followed by an energetic group of dancing lions to close out the parade. 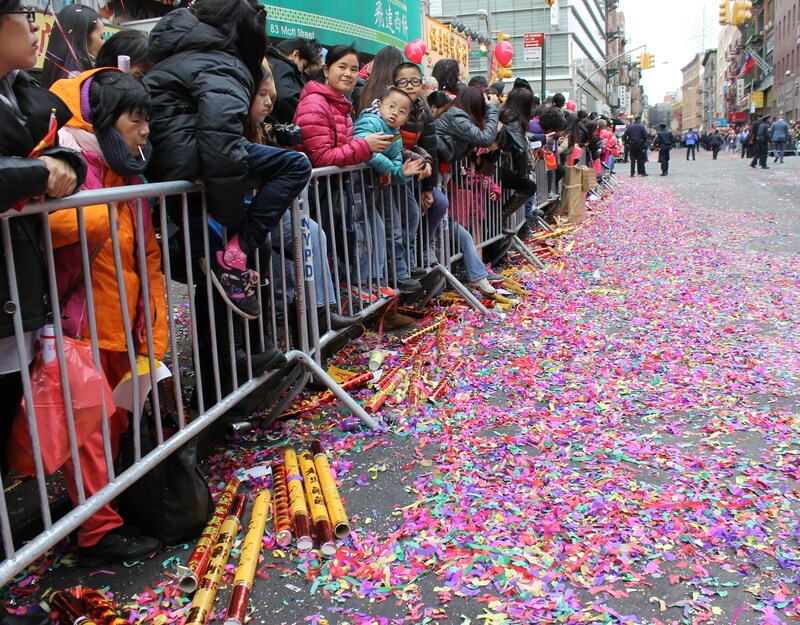 Walking away from the parade the streets were filled with confetti showing just how much fun and great times people had.